"This is the missing link in my signal chain! I can now balance the level and tone for both of my vintage P- Basses ! Seamless switching between my '63 and '73 basses. The quality of the DI is amazing! Well done guys!" 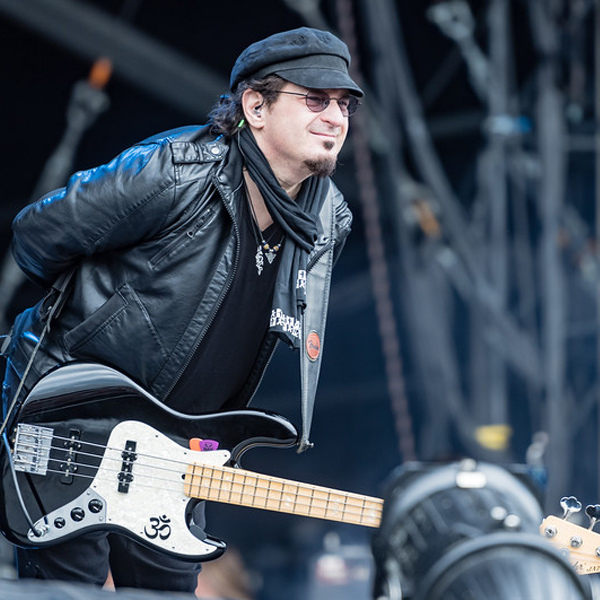 "I've always felt that using distortion on bass required a compromise. There was always something that you would lose in order to gain a little grit! Those days are over! 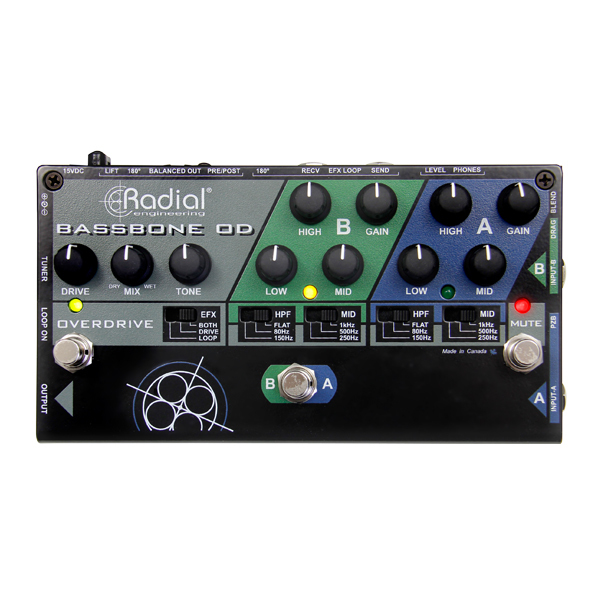 Bassbone OD delivers great overdrive and you get to keep your sound. Brilliant!" The Bassbone V2 is a power-packed bass preamp that combines on-stage efficiency, amazing tonal control and superb audio performance in a compact box. This makes it the ideal front end for both live and studio recording. 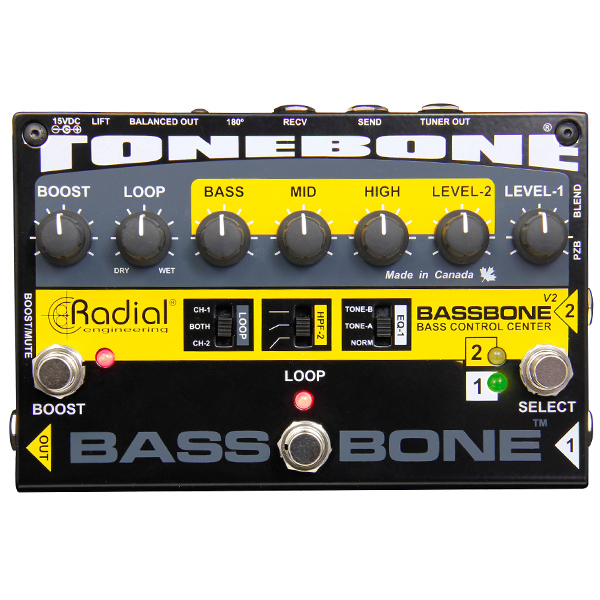 The Bassbone OD is a bass preamp with two instrument input channels, each of which is fully equipped with a level control, super powerful passive-interactive EQ and a low frequency filter to help eliminate resonance.